Check out the Minnesota DNR ice safety section on their state website. Lots of great tips and simple graphics to make your ice fishing and travels much safer! Go to www.mndnr.gov/icesafety for a shortcut right to their Education & Safety – Ice Safety section of their website. Do it before you head out for the first time this year as a refresher course, and maybe learn some new tips on ice travel and ice fishing safety! There’s a nice, simple ice thickness guide graphic. I learned a new tip of using a cordless drill and a long, five-eighths inch wood auger bit to drill through up to 8 inches of ice to quickly test ice thickness and quality. Lots more there! 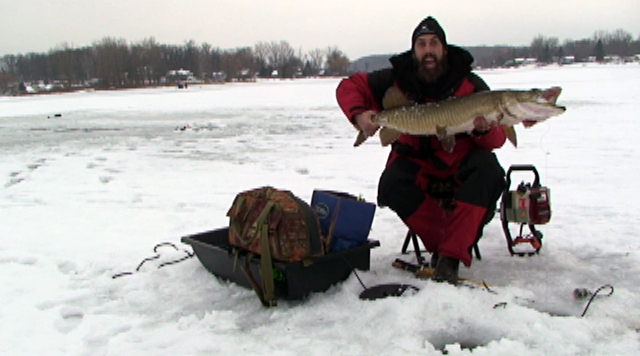 Expand Your Ice Season Pike Spearing VIDEO!